New Delhi, July 28 (IANS) The Congress on Friday blamed Prime Minister Narendra Modi and BJP chief Amit Shah for the resignations by the opposition party’s MLAs in Gujarat and warned these legislators of consequences under the anti-defection law. If an MLA is made to resign his assembly membership in exchange (of promise) of a seat in future, it is tantamount to “corruption”, Congress spokesperson Abhishek Manu Singhvi told the media here. “If you give up membership of your party voluntarily, that is defection. If you cross-vote, that is defection. If you act contrary to the party whip, that is defection. 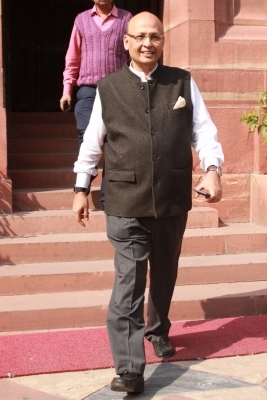 If you do any act contrary to the party interest like hobnobbing with other parties, that is defection,” Singhvi said. “Those MLAs who will defect, not vote, leave their membership, join another party, cross-vote or hobnob — all of them are liable under the anti-defection law, which means for six years they cannot vote and they cannot be MPs and MLAs,” the Congress leader added. The Congress in Gujarat suffered a major blow as four more MLAs quit the party on Friday, taking the total number of legislators resigning in two days to seven. Three have since joined the Bharatiya Janata Party and some others are expected to join. The resignations come days ahead of the Rajya Sabha elections in the state, in which the Congress President’s Political Secretary Ahmed Patel is a candidate. Some state Congress MLAs on July 17 cross-voted in the presidential election in favour of National Democratic Alliance candidate Ram Nath Kovind. Singhvi said he was confident about victory of Patel, seeking a fifth Rajya Sabha term from Gujarat. “I don’t know if these MLAs, who are trying to be very brave on BJP advice, have been made aware of the consequences of 7-10 years of punishment as per law,” he said.